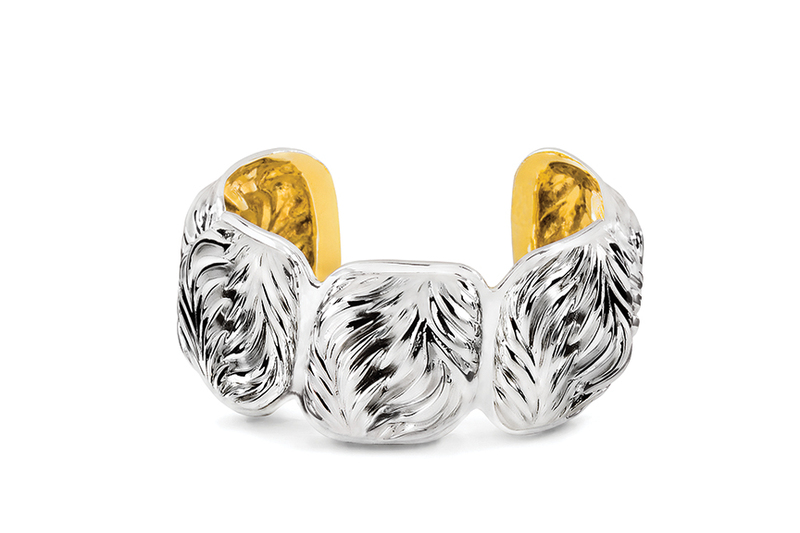 Our exquisite five-squared sterling Palm Cuff features a classic, sensual palm leaf motif. Wear with your favorite LBD or denim and prepare to hear compliments. The bracelet measures 6 1/2” around and nearly 2” high with our signature gilded lining.